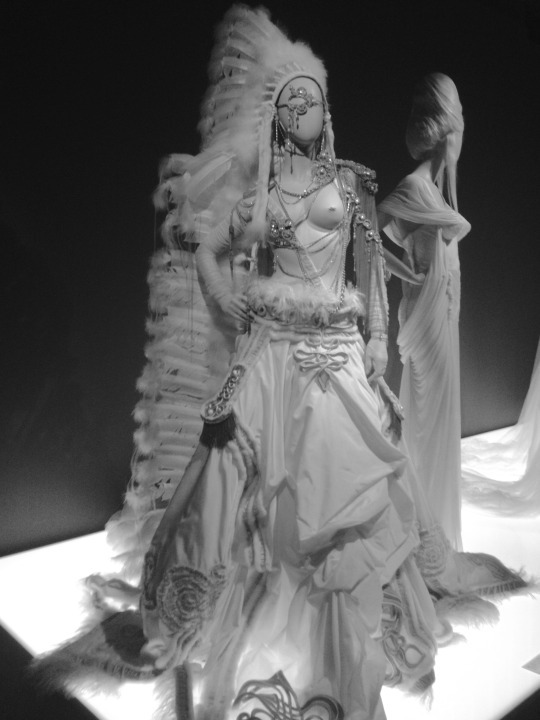 The Jean Paul Gaultier exhibit was hands down my favorite museum exhibit ever. 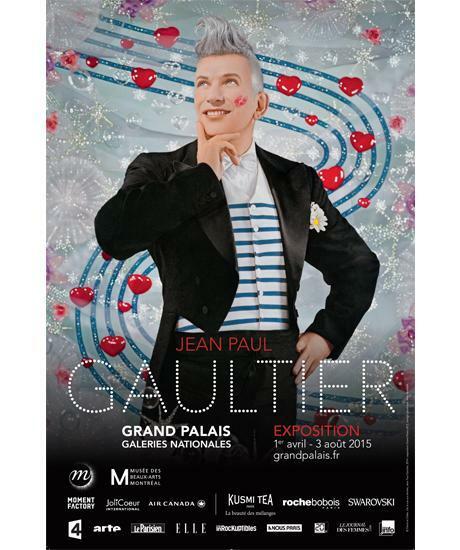 This is in large part due to the way that Paris’s Grand Palais had put Gaultier’s work on display. 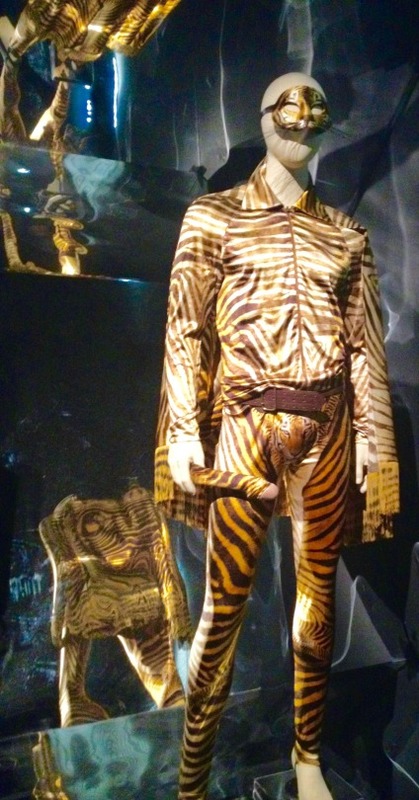 After progressing past sketches and stories from Gaultier’s childhood (and this super creepy teddy bear he smeared lipstick all over), I noticed that the exhibit was designed to be a runway show. 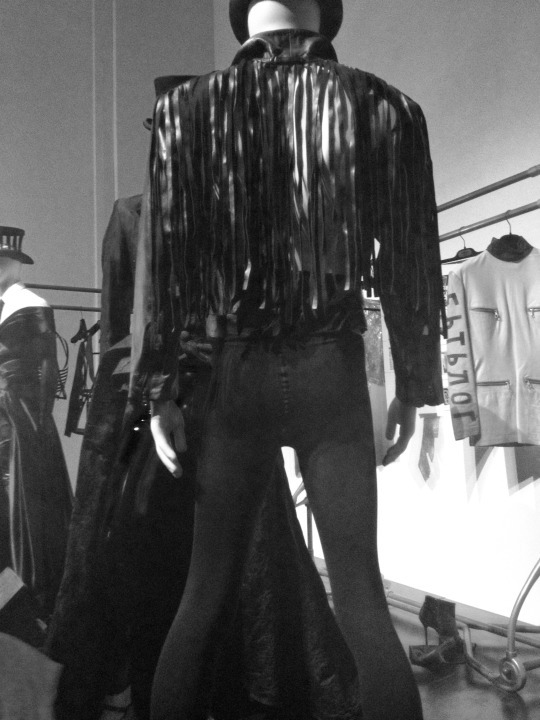 Gaultier’s exquisite and creative work was breath taking and seeing the progression of Gaultier’s designs over the course of his career was fascinating. 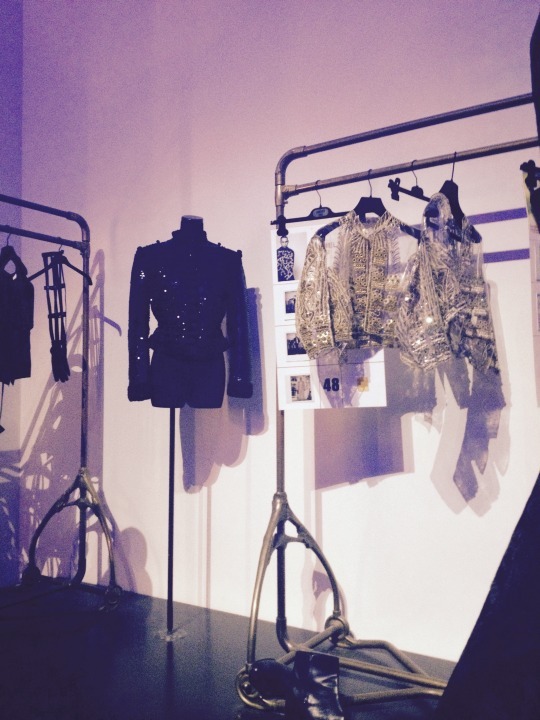 Mannequins adorned with Gaultier’s creations glided around the mobile cat walk. Even more breathtaking was the incredible technology that gave many of the mannequins almost almost creepily realistic animated faces and monologues. My favorite mannequin, who looked like the model version of Ariel The Little Mermaid, donned one of Gaultier’s famous, mermaid- esque gowns. She sang a lilting song and rolled her eyes at onlookers. 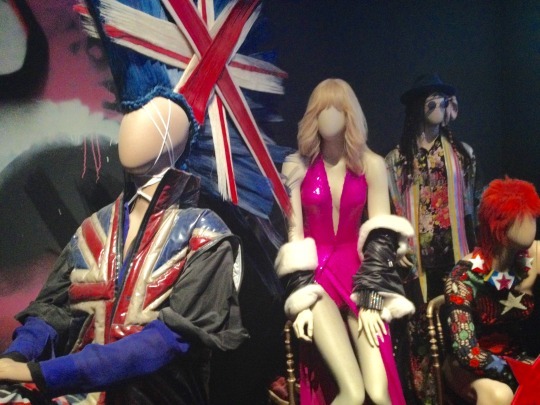 One mannequin, who delivered the longest monologue, was built to resemble Gaultier himself, complete with the iconic blue and white sweater. 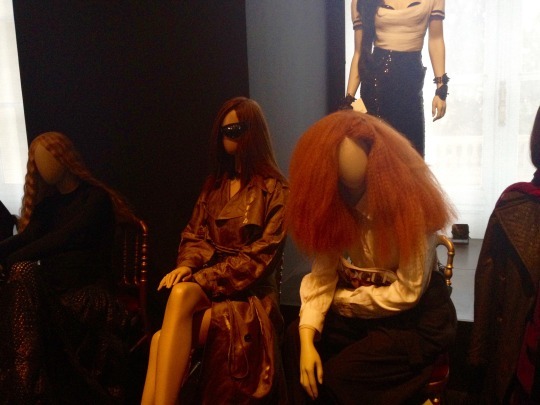 Surrounding the catwalk were mannequin’s sitting in the shows “front row.” Coolest part, they resemble actual people who frequent the front row during fashion week. If you can’t tell from her Vogue magazine and iconic hair, this is Grace Coddington, the creative director of American Vogue. Kate Moss, such an absolute icon as always. The sexual undertones in Gualtier’s work were not subtle at all & I love it.